Native American Indians were a deeply spiritual people and they communicated their history, thoughts, ideas and dreams from generation to generation through Symbols and Signs such as the Turtle symbol. Native American symbols are geometric portrayals of celestial bodies, natural phenomena and animal designs. Native American bird and animal symbols and totems are believed to represent the physical form of a spirit helper and guide. 'Turtle Island' is a term used by several Northeastern Woodland Native American tribes, especially the those of the Iroquois Confederacy, as the name for the continent of North America. For additional information please refer to the Meanings of Animal Symbols. 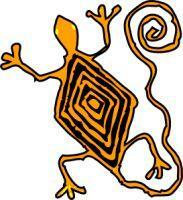 The turtle is a sacred figure in Native American symbolism as it represents Mother Earth. 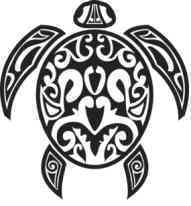 The meaning of the Turtle symbol signifies good health and long life. The turtle has great longevity living up to 150 years. According to Native American legends and myths of the Eastern Woodland tribes the turtle played a part in their Creation myth. The Earth Diver turtle swam to the bottom of the water that stretched across the world. He surfaced with the mud which the creator used to make the earth. The hard shell of the turtle represents perseverance and protection. For additional information refer to Power Animals. The shell of the turtle is used to dispense medicines because of the association with Spiritual Healing properties and the shell is also used to make dance rattles. The symbol of the turtle in Southwest tribes such as the Hopi and Navajo represents water - a much sought after commodity in desert regions.